We offer a portfolio of modules that can be delivered stand-alone or integrated with your existing professional development programmes. Our modules focus on strengthening the capability of male and female mentors / sponsors as well as professional development of high potential employees. Success with both these groups gives you a powerful combination of inspiring role-model leaders coupled with a highly motivated, ambitious and well-connected team of future leaders. Success gives you diversity in leadership. For a more comprehensive approach we have a core programme that delivers sustainable results using a combination of workshops, coaching and facilitation across your organisation. A facilitated workshop for the senior leaders and key stakeholders to articulate the diversity vision for the organisation. 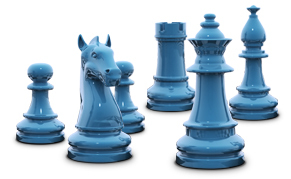 One to one coaching /supervision of senior leaders to become challenging & effective sponsors. 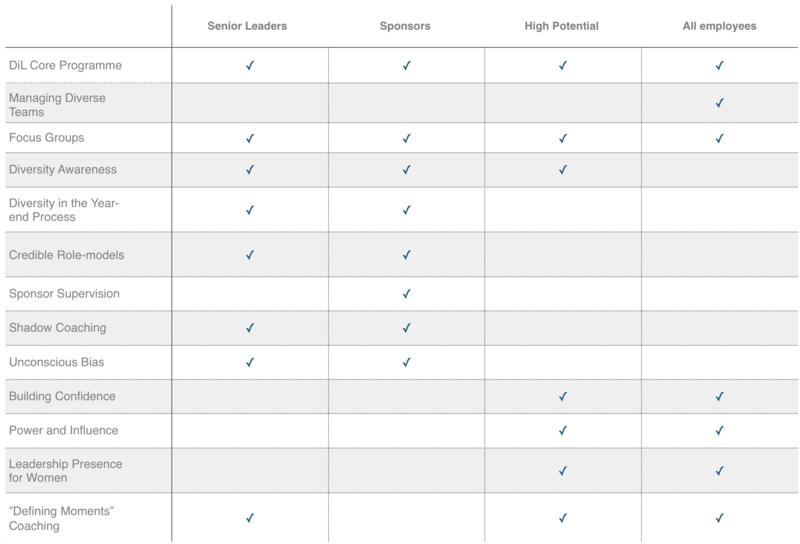 Responsibility is built using agreed frameworks to measure the success of the mentoring/sponsoring relationship. Knowing the diversity awareness and readiness of your employees across the organisation will feed into the design of a sustainable programme. 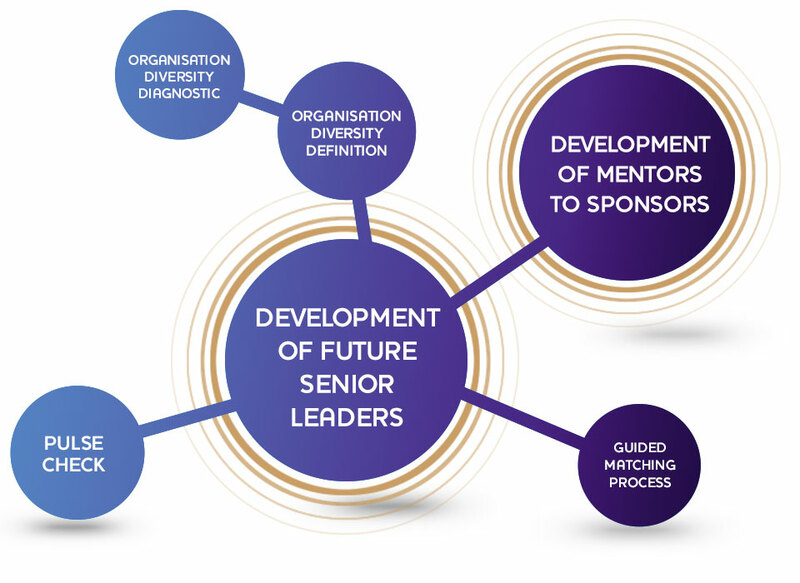 'Development of Future Senior Leaders': is achieved mainly through mentoring supported by group coaching. This can be supplemented by training, one on one coaching and selected networking events'. Diversity-in-Leadership works with you to develop a tailor-made lean sustainable matching process. This Diversity-in-Leadership developed framework© is the key to accelerate the success of the programme.